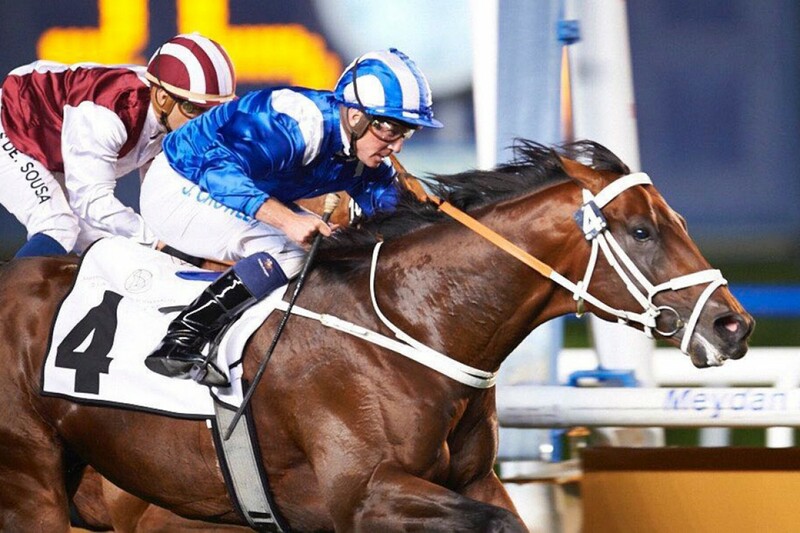 Maine Chance-bred Janoobi, already a Gr.2 Guineas winner in his native country, added a Dubai victory to his resumé when landing the Group 2 Zabeel Mile over the Meydan turf track. Sheikh Hamdan’s talented four-year-old tracked long-time leader and last year’s winner Championship throughout and, when set alight, collared his adversary close to home before drawing clear to score by the best part of a length. In a 1-3 finish for the Mike de Kock stable, fellow South African-bred and Gr.1 Cape Guineas winner Noah From Goa, was a length back in third. This stakes success was only the third Dubai start for the colt, and came on the back of a close second in the Group 2 Al Fahidi Fort. Yet another feather in the cap of Maine Chance Champion Sire Silvano, Janoobi is a full-brother to Gr.3 winner Sedge and they are among four winners out of the Rakeen mare, Shasta Daisy, an unraced daughter of champion juvenile filly and prolific broodmare, Scented Royal. Janoobi is the second member of this female family to taste international success. Shasta Daisy’s National Assembly half-sister Scented Samantha produced the fleet-footed Sweet Sanette [Jallad], a tip-top Gr.3 winner in Hong Kong. Her finest effort in defeat came at Royal Ascot, where she finished third in the prestigious Group 1 King’s Stands Stakes.